Hunza Properties Bhd achieved a new milestone after the St Joseph Novitiate located within Gurney Paragon Mall in Penang was conferred the silver award in the Fiabci World Prix d’Excellence Awards 2014 under the Heritage (Restoration/Conservation) category in Luxembourg, Germany. This was also the first award won in this category by a Malaysian company. 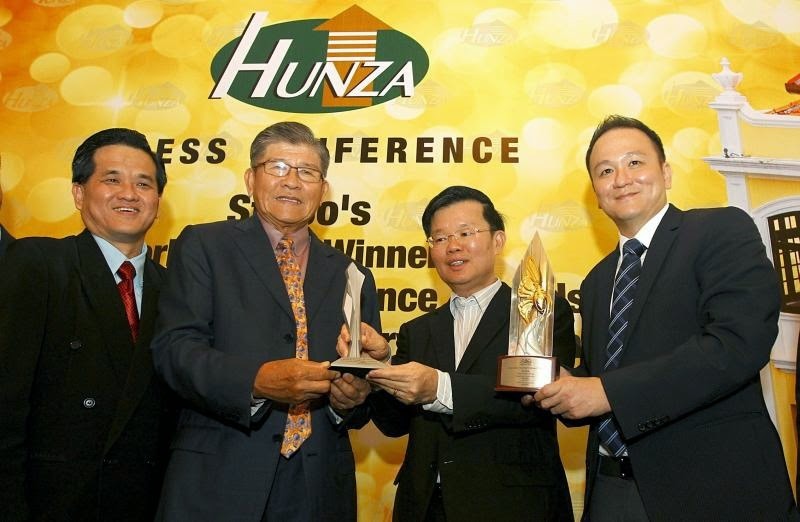 Its group managing director Khor Siang Gin said he was proud of the hard work the company put in as the competition for the prize was especially tough against contenders from European and other Asian countries. “We faced a huge challenge when we bought the land as non-governmental organisations had voiced doubts regarding the ‘survivability’ of the historical building,” he said. “We are pleased to have proven the naysayers wrong as our team of consultants and engineers stretched their expertise to the fullest by giving us their valuable support and consultation,” he added. He said this in his speech when announcing the award at St Jo’s on Tuesday. Khor added that the state’s heritage was unique and precious as it defined the city’s cultural identity and everyone must play a part in preserving it. In conjunction with the conferment of the award, St Jo’s will be opened for a year from July 2014 to those interested in showcasing their performing arts or artwork such as paintings and sculptures.